There have been plenty of eye-catching stories in the energy industry this year, but one notable development has been the rise of the U.S. as a crude oil exporter. 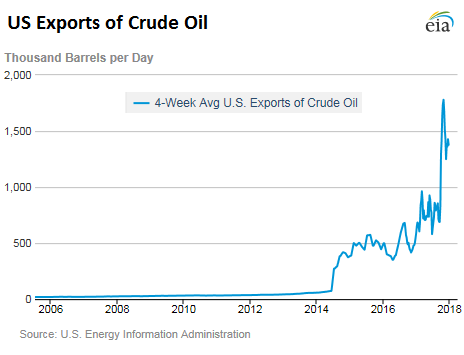 The ban on crude exports from the U.S. was lifted at the end of 2015, and exports ticked up in the following year, but only modestly. 2017, however, was the year that the floodgates opened. That surplus of crude and the temporary shortage of refining capacity was visible in the discount for WTI relative to Brent, a price differential that widened to as much as $7 per barrel after the storm, the largest disparity in years. If you are a buyer in say, China, paying $7 less per barrel than elsewhere is pretty appealing, even after factoring in high transport costs. As such, it is no surprise that U.S. oil exports to China surged this year. At the same time, the outage at the Forties pipeline directly affected Brent, both in terms of fundamentals (an outage of several hundred thousand barrels per day) and in the way the benchmark is priced (Brent prices are specifically based on oil coming out of the North Sea). Other outages, such as in Libya, have more of an effect on Brent than WTI. Could be a stupid one. WHY does the US export oil? Why doesn’t the US simply STOP importing oil? Doesn’t anybody remember the OPEC oilboycot in 1967? Let them eat oil ( cake ). Oil is finite, getting harder to extract, and ERoEI is decreasing steadily. Really, it is. And that will continue indefinitely. In the not too distant future, historians will note the absolute foolishness of exporting oil for a few dollars profit ( now) and thereby incurring LARGE FUTURE COSTS to replace that already long-gone oil. The oil is a gift from God (metaphor) and should not be squandered for a few dollars profit. Though we do not see it clearly, yet, putting large amounts of OIL or NatGas on large boats to ship overseas, adds one more cost to the foolish cost of exporting our energy legacy. Once it’s gone it’s gone. All earth-bound or under-the-sea natural resources are UNLIMITED IN SUPPLY, but the supply is quite naturally ever-more expensive to extract. Obviously the easy to extract stuff tends to be used first. This foolish export strategy portends a colder, darker future. At least we will no longer hear this familiar and wasteful refrain, “100 million Americans are hitting the road this Xmas” ! Oil is considered to be finite by nearly everyone. But is it? The Russian science community does not believe it is finite. I know I sound like a crackpot, but oil has been widely used for only about 100 years and only about 80 years ago was it declared finite. I was a diehard peak oil supporter but am no longer after much, much study on the subject. Hi William, how did you decide oil is not finite? I’m not aware that Russians believe oil is not finite. To take it to the extreme, you would agree that the mass of available oil does not exceed that of the Earth itself? So finite then, but possibly a ‘very large finite’? Oil is becoming harder to obtain, which is fully congruent with it being finite, I would have thought. That iconic photograph of the wildcatters standing in front of the mighty fountain of oil blowing out from Spindletop in Texas is a marker for me. You just can’t get oil wells like that anymore. Hence the agony of fracking shale. You wouldn’t frack shale if you could find more Spindletops. The US produces about 10 million barrels of oil per day but consumes about 20 million. So even without exporting anything we still can only produce about 1/2 of what we need. If you wanted to screw OPEC everyone would need to sell their F150s and buy Civics. But I think that has a low probability of happening. Whats going to screw OPEC are Electric and Plug in Hybrid automobiles. Couple of motivations. The US spent huge sums of money on emissions controls. But other places didn’t and now the air quality is terrible. And air quality isn’t something the overclass in a country can just buy way out of. They’re going to punt on gasoline cars and force people to buy electric cars. In developed countries, electric and plug in electric cars are cheaper per mile than gasoline cars. Soon they’ll be cheaper to buy. At that point anyone that has a long commute is going to switch. A data point in Santa Clara county there is one zip code where close to 20% of new cars are EV’s or Plug in hybrids. It’s an upper class neighborhood, but not the wealthiest. People that would buy a $40-50k baby luxury auto’s are buying $60-80k EV’s. Couple of years you’ll have $20-40k EV’s. For OPEC that all adds up to demand destruction. Wild guess: most refineries have medium/long-term delivery contracts with (primarily) foreign producers that use up refinery capacity. US frackers are on-again & off-again producers (aka: not conducive to delivering on medium/long-term contracts) so oil is sold on world market, lowering everybody’s cost. My understanding is that the oil from fracked shale is rather light and cannot be properly digested by US refineries in the quantities being delivered. Hence USA exports surplus light oil and imports heavier crudes. I think the reason is because the US imports way more oil than it exports, has no real national oil reserve (tea pot dome scandal) and no one is willing to store unprocessed oil for future refining when they could sell it now for immideate profit . Second stupid question; where is all this export oil being produced? Alberta? Much of it is produced in the US shale patch. Some of it came out of inventories, which were bloated to record levels and are now receding. The U.S. imports 50% of its crude. I provided two links to the EIA showing imported and domestic crude supplies. Note that peak imports in 2005-6 timeframe. Seems to me we are consuming less energy. The build up to the crash of 2007 – 2008 seems to have been the trigger. I’d attribute the decline in imports to boomer retirement and not so much to energy independence. Note. The chart you referenced still shows the U.S. as a net importer. There are around 150 refineries in the U.S. I’m relatively certain we export finished petroleum products from the refiners. U.S. sells oil to China. China sends oil to North Korea. Kinda like how the U.S. built today’s China. I don’t know if it is stupidity or corruption, but whatever it is, is is infinite. You can not stop importing because the US oil refineries are made to refine oil heavier than that obtained from Fracking. You need to import heavier oil to mix and refine. what is qad and qan? And yes, why are we so quick to export a resource for such a low price. Here’s my question: Are the frackers actually making money? I know for a period they were being subsidized by bank loans. I also know that when the bottom fell out of the market, they shutdown most of their worst money losing rigs. As prices rose they started actually making a profit. I know that they must be reopening some of those shutdown wells now. So are they back to losing money again? They seem to be much more resilient than I anticipated. My elderly father has dumped shocking sums of money into failed fracking investments over the last 10 years. I don’t think he’s ever made his money back, but he has made friends with the Texas oilmen who keep their office lights on with his money. We read a lot about dodgy bank loans, very little about much dodgier ‘investment’ opportunities flogged by smaller operators. He was assured that the money would flow when prices rebounded above $50 a barrel. What’s come instead is additional investments in horizontal drilling from disappointing wells, and ‘assessments’ to pay forfeited taxes and costs of hired operators who’ve gone bankrupt. Obviously, as long as there are investors like my dad, production companies won’t go belly-up as they should. I’ve listened to them on conference calls. They hope next time will be different, just like my dad. Why not? Your dad’s just discovered all on his little lonesome how things are done in the tech industry. From what I have seen in the Bakken, they aren’t making money (Crescent Point is the local big shot – stock value as low as when they started 15 yrs ago) Not firing up old wells, just maintaining what has been producing and only drilling guaranteed deposits. The days of exploration won’t be back until $100/bl and if an old well isn’t pumping now it won’t get put back into the field until the same market value. Well, let’s see you come up with a meaningful way to control allocation of a fungible commodity like oil. Export the products and services produced (electricity for electric cars and electric heaters and lights and ac. plastics,pharmaceuticals) rather than the fungible commodity itself. This is a foolish article from a usually reliable source. True, the US was forced to export different products due to excess in various forms at different times of the year. Some of this was due to a loss of refining capacity during the hurricanes this year. BUT, an oil exporter the US is most definitely NOT. The US currently imports 40% of what it consumes on a daily basis. Sure, some gets refined and what is over-capacity is sent elsewhere, much like our local lumber store exports yellow cedar, but imports red oak and almost everything else….say about 50% of what is used locally. This article is misleading at best. Shale producers have been estimated to have lost almost 300 billion dollars producing their mis-matched product since its inception. Luckily, 0% interest rates keep the investment dollars flowing into the Ponzi scheme. It is also helpful that the Shale producers are able to export naptha north to Canada in order to dilute bitumen into dilbet, which then gets pumped back south to Gulf refineries, extracted, and sent north again. “Canadian crude oil exports to the United States reached its highest level ever of 3.4 million barrels per day in the first week of January, according to preliminary data from the U.S. Energy Information Administration. From 2016, this chart is a bit misleading as Venezuela is no longer a supplier, however, Canada has increased its share of US imports. “In 2016, the United States imported approximately 10.1 million barrels per day (MMb/d) of petroleum from about 70 countries. Petroleum includes crude oil, natural gas plant liquids, liquefied refinery gases, refined petroleum products such as gasoline and diesel fuel, and biofuels including ethanol and biodiesel. About 78% of gross petroleum imports were crude oil. In 2017 the average daily import of crude into the US was approx. 7 million barrels per day. It consumed approx. 19 million barrels of oil per day. (This includes bio-fuels as an oil equivalent). In 2017 US produced approx 9.6 milion barrels of oil per day (domestically). The math is right there. However, current world oil consumption rates is 10X (yes 10X) the rate of new oil discoveries, including Shale. There are very few actual exporting (net) oil producing countries. The prediction that US imports and exports will one day balance is based soely on demand drop; the use of renewables, and greater efficiencies. Best guess is 2040, but it is just a wild guess and hope at this point. Net imports plunged from 12.5 million barrels a day in 2005/2006 to 2.49 million barrels a day now. Look at the chart. This has been a STUNNING decline. Being focused on Canada, you might have missed it. So really, look at the chart that I linked. And look at the trajectory of the chart … it might tell you about when net imports may reach zero (getting closer). The US will always have a mix of imports and exports for many reasons, including the grades of oil and what refineries are set up to refine, the problem that the US West Coast is not connected to the rest of the US via oil pipeline, the increasing integration of the energy markets between the US, Canada, and Mexico, etc. But what matters is “net imports,” and they’re plunging on their way to zero. Although I will say this, if the economy tanks, as many who read this site feel very stongly about, then net imports might actually hit 0. The IEA forecast that I just cited above says it ‘might’ balance by 2040. I defintely would not bet on Shale picking up the slack unless negative interest rates force even more rash investments. (Permian is supposed to peak 2018-19, though). Some say it has peaked already, although there are many DUC wells not taken into account. “Good question. If we assume that the U.S. shale oil companies will be able to produce another 10 billion barrels of oil, they would need to make $21 a barrel profit to pay back that $212 billion. However, they haven’t made any profits in at least the past six years, so why would they make any profits in the next six years? If oil prices drop then Shale drilling will decrease with the only product selling what has already been put online, even if it is at a loss. Who knows, some cash flow might entice more investors. Personally, I don’t see it happening. Low prices kill oil companies as this resource becomes more and more scarce. 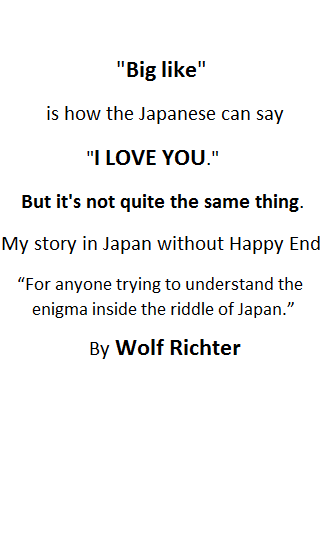 regards and thanks for the article and reply. I agree with you that the shale patch is the place where money goes to die. This has been the case for 10 years. Forever-negative cash flows are the rule. This is particularly true for natgas drillers. The prices for oil and gas are way too low to allow companies mainly engaged in fracking to be cash-flow positive. But they continue to receive investor money, both equity and debt. During the oil bust, there was a brief period when this dried up, but the floodgates have since been reopened. As long as they can get new money to service their debts, and get more new money to drill into the ground, this will continue. If investors demand positive cash flows as a basis for more investments, then the whole scenario changes, and all bets are off, but this hasn’t happened yet. BTW, net imports (imports minus exports) of US natural gas have plunged below zero recently for the first time in the data series going back to 1973. A weak dollar would reduce imports without killing oil companies. I lost money on oil investments during this decade. I’m pretty sure I’m part of the public set-up to be fleeced when oil prices were high and promises flew left and right that they would go higher. Looking back now, I suspect ISIS and other groups in the Middle East grew wildly powerful and out of control with soaring oil prices earlier in this decade. To weaken these groups like ISIA, the U.S. drove down oil prices dramatically with domestic production and dropping export restrictions. There are no coincidences in these matters and I’ll admit it’s a highly complex system of energy, political and currency markets intertwined. And cheats They live to screw the land owners. Don’t ever ever believe one word they say. Every landowner in the shale patch should read this. I’ve heard numerous similar stories. The Jones Act forces exports of American oil to be shipped by American flagged and crewed tankers. This makes it less lucrative and more expensive for most of that Texas/Oklahoma shale oil to be shipped to the coastal refineries. Shipping by rail is the alternative, but also expensive. Once an excess of West Texas Intermediate built up because of all the shale fracking, its price dropped. Refiners who bought this cheap WTI reaped the benefits, and started exporting the refined products, mostly gasoline, since there was never a ban on exporting refined petroleum products. Mexico, for instance, now gets 60% of its gasoline directly from U.S. refineries. The oil industry being no longer vertically integrated (e.g., Valero, one of the biggest refinery owners in the US, has no oil production), the oil producers were the ones who lobbied to allow for exporting crude oil. Obama signed that into law, effective in 2016. So the U.S. coastal refineries, which do not have oil pipeline connections to this mostly Texas shale oil, continue to import foreign oil, sent in by cheap foreign flagged and crewed tankers. FYI, landowner lawsuits against frackers are big business in Shale Country. Hint, hint. Lotsa lawyers involved. Leaks of natural gas and fracking fluid to the surface happen mainly because of inadequate sealing of the vertical portion of the oil well, the cementing in of the well casement, especially. The shale layer that gets fracked is always much deeper, and much less likely to leak out to the surface. Most drilled fracking wells do run out after three years. That doesn’t mean the local shale formation is tapped out. The oil and gas are tightly trapped in the shale, aka “tight” oil/gas, and only the shale close around the horizontal drill is released by the fracking, so they just have to drill another horizontal bore. Wolf, the big majors like Shell and Exxon have gotten back into shale and fracking in a big way. They are definitely not in this business to lose money or cheat investors. They do expect to make money. Fraud and hucksters have always been big in the oil industry, but only with the small independent producers, not the NYSE listed majors. I remember how Tony Dorsett, Cowboy running back lost most of his football money on these wildcatters, and this was before fracking. Bet, it seems we don’t hear these stories reported through main stream media for some reason? Can you provide more detail please? For instance, were you owner of the surface estate, mineral estate, or both? $400/acre for a 600 acre surface estate of good productive farmland seems fairly cheap but it does exclude the mineral estate. My understanding is Texas mineral rights are separable, but if a lessee’s use of the surface is found to be negligent, unreasonable or excessive, the lessee may be liable to pay damages to the surface owner for the resulting injury. After the leases were locked in , it was a red army , haliburton wears red overalls. Walmart was emptied every day from the huge swarm of workers in the fields. Its never dark at night from the bright lights for drilling. It looks like some landscape from Mars. welding trucks lined up one after another to lay pipe 24/7 to build the infrastructure, battalions of bulldozers. I would say this isn’t about energy this is foreign policy. It was unreal. The producers release all the extra nat gas burning it off 24/7 and cheat. They are supposed to have one torch they hide the other. A huge wall of methane burning now for years across most of south tx. I lived it for years. The health and environmental toll is going to be nothing short of catastrophic. As I said, I think last flip my farm was sold for 36 million. Oh and the earth quakes. We are liquefying the earth down there. One day south Texas will be one big sinkhole. Exporting America’s last remaining oil resources is beyond stupid. To me the biggest oil story of 2017 was the continued funding of this shale fiasco. In spite of lower costs, miraculous lower “breakeven” prices, and higher oil prices, the shale oil industry still did not make money. It paid very little debt down. Yet Wall Street keeps funding it. That’s all money our children with be forced to reckon with someday. As long as oil is traded with dollars and no alternatives, it doesn’t matter if it comes out of the ground in the U.S. or any other country. And Saddam was toppled just after trying to sell oil in euros. Probably why the UAE is so keen on Bitcoin and other crypto. Sell oil for crypto cash out to dinars to the greater fool. Who is the US going to invade the ledger? Of course it matters. It matters now as to hydrocarbon security and, for instance, the possibility of war. And it will most certainly matter in the future when the US is dealing with hydrocarbon scarcity, or there is a fundamental change in the petrodollar, which is beginning to occur already. Most Americans have been conned into believing we have 100 years of unconventional shale oil available to us and we can become energy independent. At current LTO rates try about 20 years. And all of that will be heavily dependent on credit and unprofitable to extract by private enterprise. America is the largest oil consuming nation in the world by a wide margin; exporting the last of our resources away for $45, so we can buy it back in 10 years at $145, is an example of really dumb, short term thinkers managing America’s oil and natural gas savings account. I forgot to answer your question. We owned all three , surface, mineral, royalty. Many owned only surface, and too bad so sad, the producers can come in and pretty much do what they want. It’s Texas, oil is protected above all else. They have come into subdivisions and dug test wells, cut down trees, made a complete mess, then move on. We wrote our lease to a certain depth as most producers own to the middle of the earth. Under the Eagle Ford is another shale shelf, they call it the “elephant field”. Eagle Ford is three divisions, north is sweet crude EOG has most of that locked up. Middle is Condensate , lower is Nat gas, and no leases there is the price is too depressed to frack. China is in the Eagle Ford pretty big when I left. As I said, I sure learned a lot and none of it is good for Americans any which way. Here’s a good read: The Chino Valley oil boom of the 19-teens. I hid out here after losing everything when the economy crashed, and lived with a friend there for about a year. The old derricks are still here and there, old signs, etc.